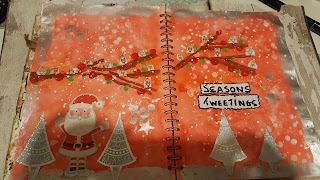 happillycrafting.com: Seasons Tweetings - Nina Ribena's Art Journal Prompts December is" Festive -"
Seasons Tweetings - Nina Ribena's Art Journal Prompts December is" Festive -"
This page was done as my December Prompt from Nina Ribenas facebook group called Art Journal Prompts, For the month of December the prompt is "Festive". 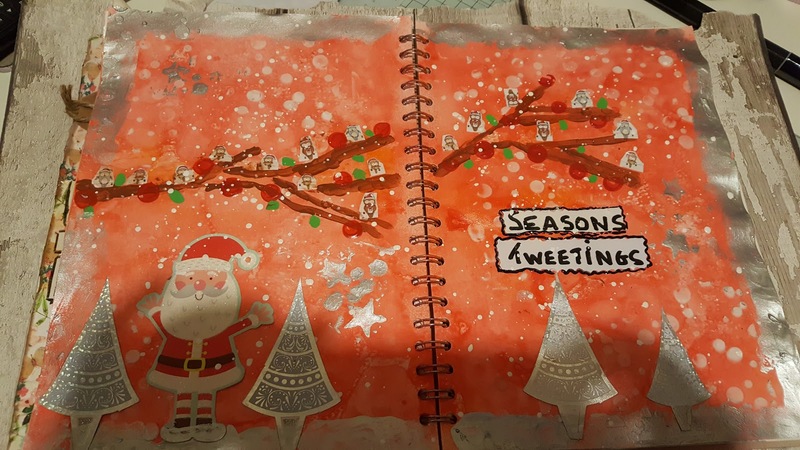 The group is a lovely group where people share their work. There are some fabulous artists within the group, Why not take a look.